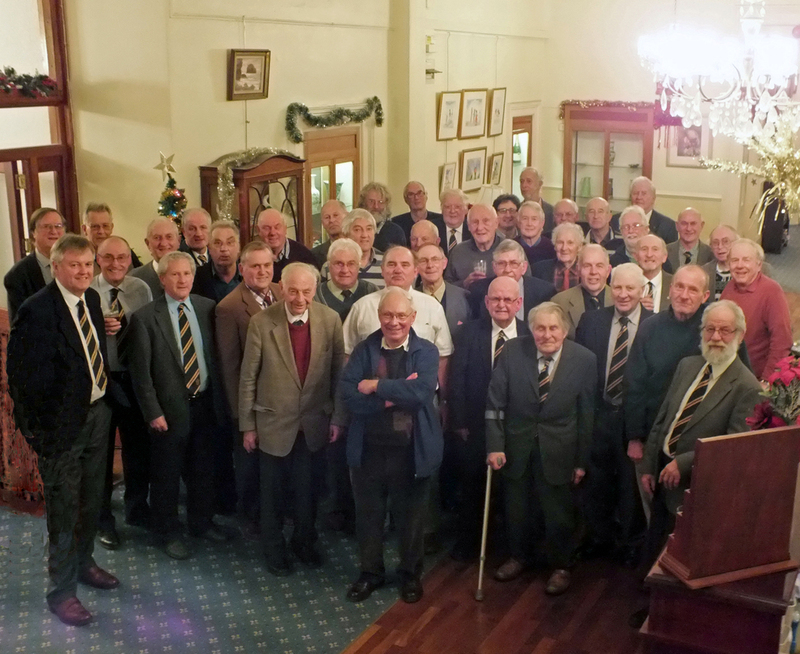 There was an excellent turn out for the annual reunion of the Old Penwithians Association at the Queen’s Hotel on 29th December. Once again the oldest old boy in attendance was Dr. Arnold “Derry” Derrington  who was accompanied by his son David. Bob Conybeare was the only former member of staff to make it – other regular attenders being away for the Christmas and New Year break. Former association secretary Andrew Coak, who died earlier in the year, was remembered by all present and a minute’s silence was held. Treasurer Paul Tyreman  updated those present with the state of the association and repeated the appeal for a new secretary and chairman. Stuart Guppy , who had been co-opted onto the committee after Andrew’s death, offered to take up the role of secretary and we hope that we have found a new chairman – whose name will be announced as soon as this is confirmed. John Coak  held a very successful raffle during the evening which ended with the traditional hearty rendering of the School Song accompanied by Stuart Guppy on piano.